This easy baked frittata is baked in the oven – no stovetop involved. It’s made with eggs, goat cheese, parmesan, zucchini and cherry tomatoes. 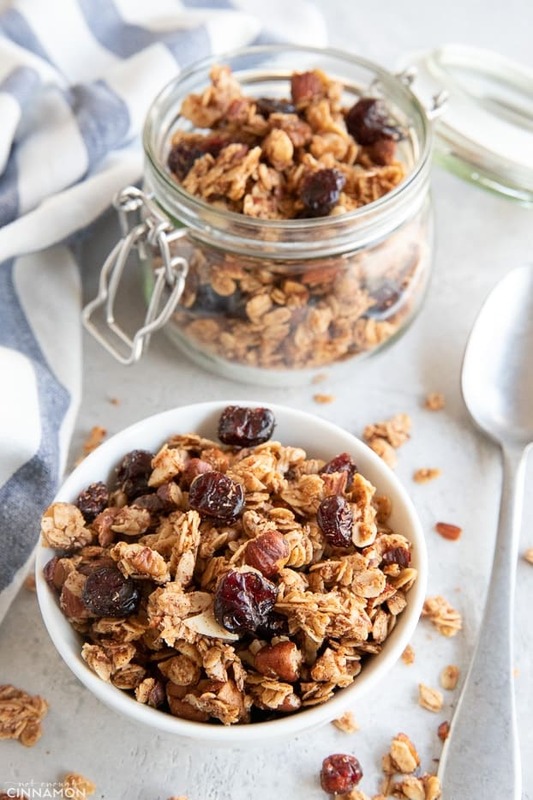 It’s perfect to feed a crowd for breakfast or brunch, or for meal prep! Naturally gluten free and high protein. And let me reassure you, this baked frittata is anything but “eggy”. What you mostly tastes is the cheese. And the tomatoes. Nom nom nom. And honestly, the taste of zucchini isn’t super strong either (because when are zucchini empowering anyway?! lol) – and it’s not a problem in my book. Sneaky veggies for the win! I love making this frittata during my meal prep sessions: I make one batch and it lasts me the entire week. I usually keep half in the fridge and the other half in the freezer so it stays super fresh. Bake for 25 minutes at 200C/400F, let it cool slightly and cut into pieces. Serve this baked frittata either warm or cold. A few questions about frittata answered! What’s the difference between a frittata and a quiche? Quick-and-not-complete answer: A quiche usually has a crust and it’s filled with a savory egg custard made with cream. A frittata is similar to a crust-less quiche or a tick unfolded omelette. Long story short: they are pretty different both in terms of cooking method and taste. Can frittata be made in advance? YES! It keeps really well in the fridge for up to 4 days. Just reheat it or enjoy it cold. 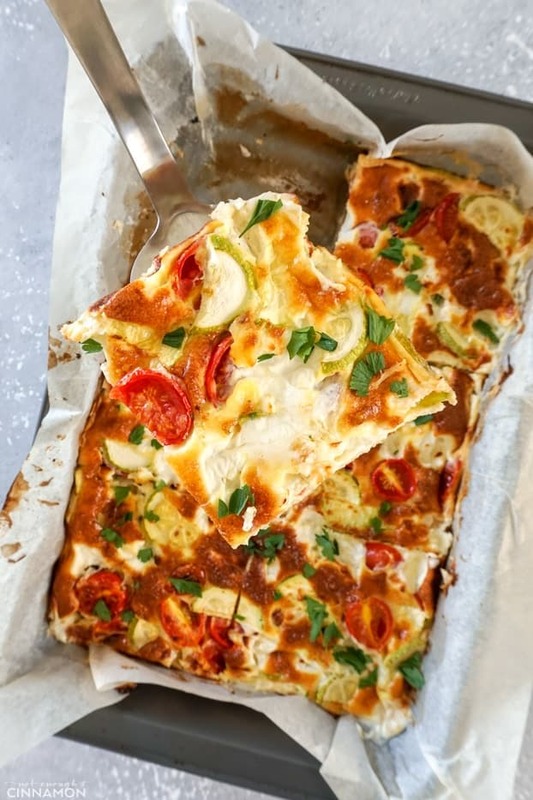 If you tried this baked frittata, don’t forget to rate the recipe below and let me know how it went in the comments – I love hearing from you! You can also follow me on Instagram, Pinterest and Facebook for more deliciousness and behind-the-scenes! This easy baked frittata is baked in the oven – no stovetop involved. 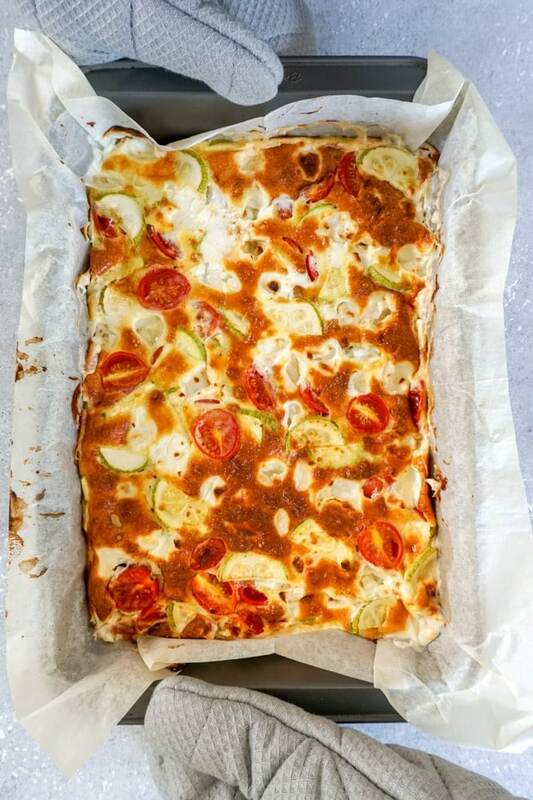 It's made with eggs, goat cheese, parmesan, zucchini and cherry tomatoes. 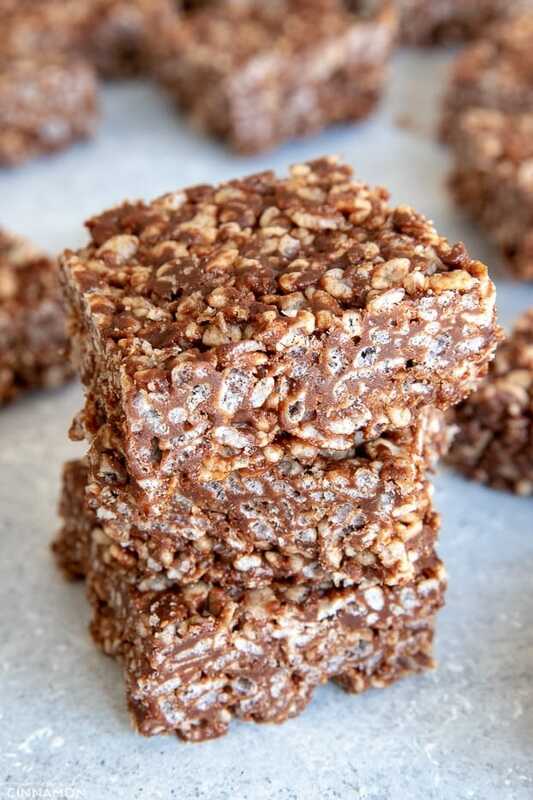 It's perfect to feed a crowd for breakfast or brunch, or for meal prep! Naturally gluten free and high protein. Preheat oven to 400F - 200C. Line a 9 x 13 inch (22 x 33 cm) baking dish with non-stick parchment paper. Arrange zucchini and tomatoes in the dish. In a large bowl, whisk together eggs, milk and parmesan. Season with salt and pepper to taste (keep in mind that the parmesan and goat cheese are already salted). Sprinkle with big chunks of goats cheese. Remove from the oven and allow to cool slightly. 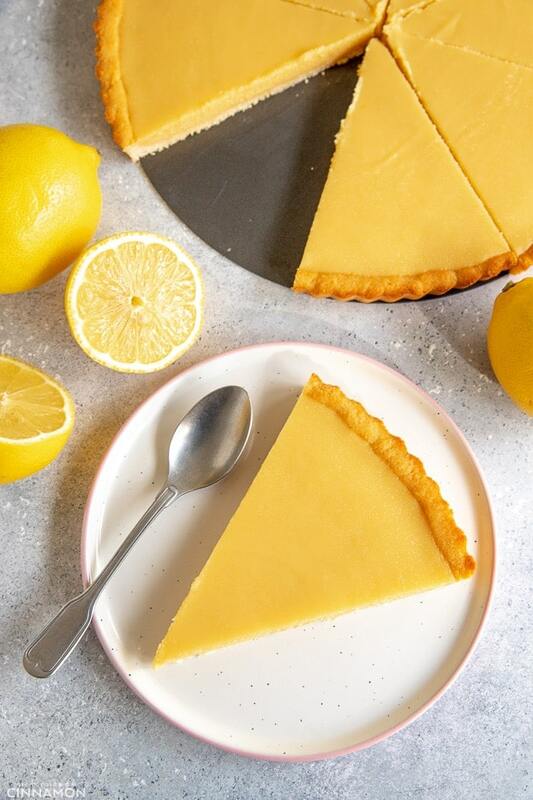 Slice into 6 pieces and serve. You can serve the frittata warm or cold. If you serve it cold, store it in an airtight container in the fridge. 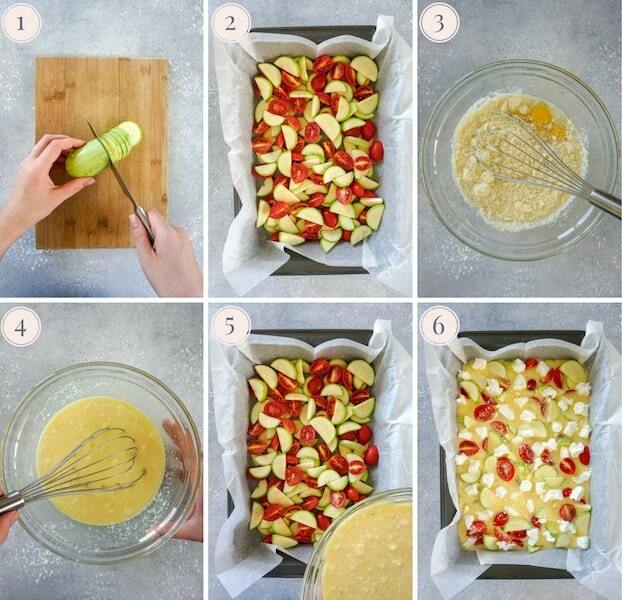 MAKE AHEAD: It keeps really well in the fridge for up to 4 days. Just reheat it or enjoy it cold. FREEZING INSTRUCTIONS: Cut the frittata into squares, place them in airtight containers, each layer separated by parchment paper. Freeze for up to 3 months. UPDATE NOTE: This post was originally published on June 4, 2015 and republished in September 2018 with an updated recipe, new photos and more tips. This sounds yummy! I’m thinking it should be possible to make it in my electric skillet (I’m without a stove for a couple of months while we’re at the beach). 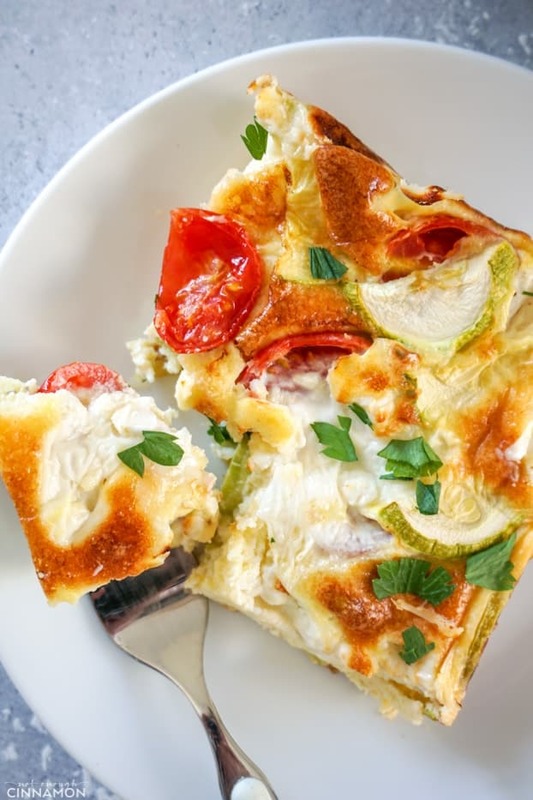 My family loves this frittata and I am a huge fan of any dish which can be made ahead of time ! This one’s perfect for that! Such a great way to use zucchini! 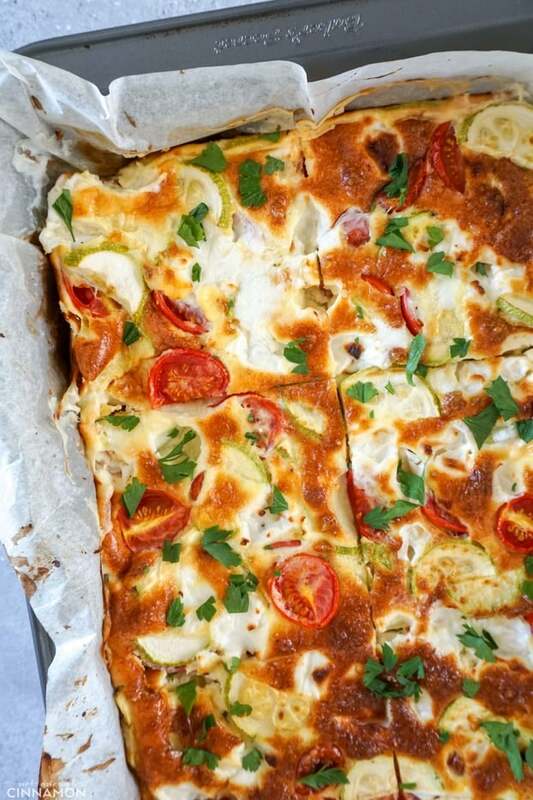 I do love a frittata, definitely going to have to try it this way! Yum! This looks like the perfect brunch recipe for a lazy weekend! 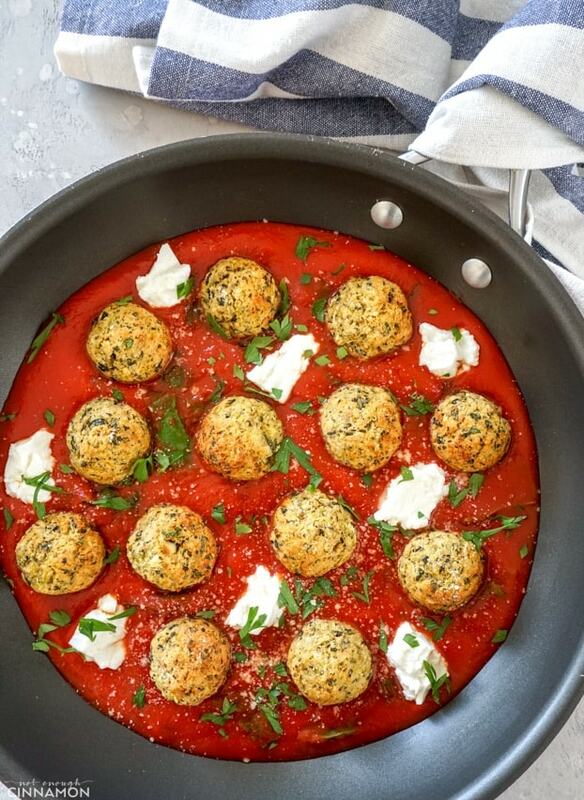 I love the flavour combination; I love baking tomatoes as the flavour is so intense and sweet! I love the looks of this! I will definitely add it to my weekly menu. Goat cheese for the win! Can I have this for lunch, please? Looks delicious. This is amazing! Can’t wait to make it at home. A family member made this for us over the holidays. DELICIOUS!!! This looks super cheesy and delicious.